There were many councils in the history of the Church that came after the death of the Messiah Yeshua in 32 AD. The First seven Ecumenical (people of different beliefs together to forced agreements) Councils were the most important, because out of them came the False Christianity that we have today, free of all vestiges of Judaism and the Jewish practices that Yeshua, a jew and a Rabbi, and his apostles practiced daily and dissapeared the authority of Torah. 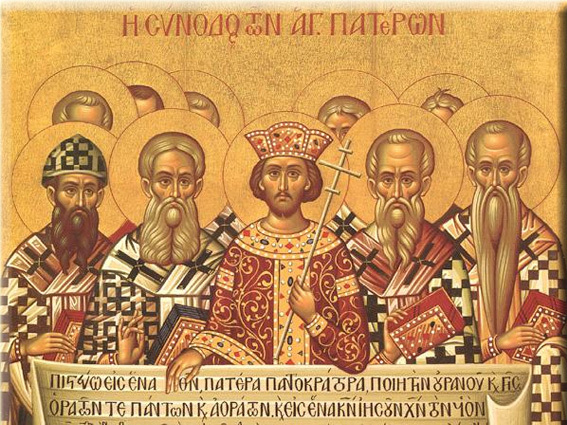 Starting with the First Council of Nicaea (325) to the Second Council of Nicaea (787), church leaders tried to reach a basic consensus to unified the new and expanding religion. 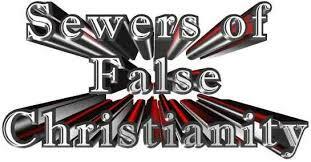 Almost all the churchs of that time came together to shape the false christianity: Eastern Christians, Oriental Christians and Roman Catholics. We will examinen one by one their lies and show how they changed Yeshua the Messiah of Israel into a Hollywood Super Star. 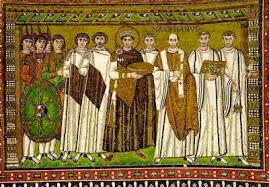 This Council was convened by the Roman Emperor Constantine I along the lines of the Roman Senate and he presided over it, without right to vote. Came together about 318 bishops, many very famous: Eusebius of Nicomedia, Eusebius of Caesarea, Nicholas of Myra (from where it started the Santa Claus character), Hilary of Poitiers, Jerome, Dionysius Exiguus, Rufinusetc, Athanasius of Alexandria, and many more. 5. Elimination of all vestiges of Judaism. Remember Yeshua was Jewish, born of Jewish parents, practical Judaism, lived in Israel and never said anything against the Jews, the Torah (law) or Judaism. The Council declared that the Son was true God, co-eternal with the Father and begotten from His same substance, arguing that such a doctrine best manifested the Scriptures and the Apostles knowledge. St. Alexander of Alexandria and his assitant Athanasius defended this position against the presbyter Arius position of the contrary (Yeshua is subdue to the Creator of the Universe). Arius with others bishops who support his ideas were banished to Illyria. (NICEAN CREED) “We believe in one God, the Father Almighty, Maker of all things visible and invisible. And in one Lord Jesus Christ, the Son of God, begotten of the Father [the only-begotten; that is, of the essence of the Father, God of God,] Light of Light, very God of very God, begotten, not made, being of one substance with the Father; By whom all things were made both in heaven and on earth; who for us men, and for our salvation, came down from heaven, and was incarnate and was made man;He suffered, and the third day he rose again, ascended into heaven; from thence he shall come to judge the quick and the dead. And in the Holy Ghost.” . This Creed was later amplified in the Third Council of Constantinople (A.D. 381). After that the Council, very conviniently, ordered all books to be burned, including the Torah; destroying all ancient writings. Also the Council decided “to forbid any bishop, presbyter, deacon, or any one of the clergy whatever, to have a subintroducta (woman) dwelling with him, except only a mother, or sister, or aunt, or such persons only as are beyond all suspicion“. The Council change the Jewish Pesach into the holy Easter, forcing eveybody to celebrate the said most sacred feast of Easter at the same time with the Romans. And finally the Council the Council decided to transfer the day of rest from the Jewish Sabbath to the Christian Sunday. Before the Council Nicea, a council in Elvira (Spain in A.D. 305) tried to keep Jews and Christians apart by ordering the latter not to share a meal with Jew, not to marry Jews and not to observe the Jewish Sabbath. HOW DO WE KNOW THAT EVERYTHING DECLARED WAS FALSE? Devarim (Deu) 6:4 ““Hear, O Yisrael: YHWH our Elohim, YHWH is one”. Yeshayahu (Isa) 45:21-22 “Declare and bring near, let them even take counsel together. Who has announced this from of old? Who has declared it from that time? Is it not I, YHWH ? And there is no mighty one besides Me, a righteous Elohim and a Saviour, there is none besides Me. Turn to Me and be saved, all you ends of the earth! For I am Elohim, and there is none else”. Biblical Truths: Yeshua was a prophet, Messiah of Israel and mediator between men and Elohim. He was born of woman and man. Given divine power by YHWH our Elohim during his Tevilah (baptism). (PROPHET) Acts 7:37 “This is the Mosheh who said to the children of Yisrael, YHWH your Elohim shall raise up for you a Prophet like me from your brothers. Him you shall hear”. (BORN OF MAN AND WOMAN) Romans 1:3 “concerning His Son, who came of the seed (Sperma in Greek) of David according to the flesh.” Paul never mentions the virgen birth in any of his letters, because it was invented after his death, so in reality it never happened. (MEDIATOR) 1 Timithy 2:5 “For there is one Elohim, and one Mediator between Elohim and men, the Man Messiah Yeshua”. Miriam could never be a mediator because Yeshua is the only mediator between man and God. (TEVILAH) Matetiyahu (Mat) 3:15-17 “But Yeshua answering, said to him, “Permit it now, for thus it is fitting for us to fill all righteousness. Then he permitted Him. And having been immersed, Yeshua went up immediately from the water, and see, the heavens were opened, and He saw the Spirit of Elohim descending like a dove and coming upon Him, and see, a voice out of the heavens, saying, “This is My Son, the Beloved, in whom I did delight”. Yeshua was a PROPHET, who was BORN OF WOMAN AND MEN to be able to be as Paul said direct descendant of David (who Yosef was). There was NOT VIRGEN BIRTH. 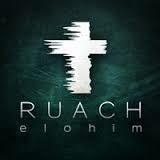 Yeshua was supposed to be a MEDIATOR, the MESSIAH OF ISRAEL and received POWER through the Spirit of Elohim. Shouldnt the Bishops have read Paul in 1 Timothy´s letter? They did not. Doniel (Dan) 7:25 “and it speaks words against the Most High, and it wears out the set-apart ones of the Most High, and it intends to change appointed times and law, and they are given into its hand for a time and times and half a time”. 1 Timothy 4:1-3 “But the Spirit distinctly says that in latter times some shall fall away from the belief, paying attention to misleading spirits, and teachings of demons, speaking lies in hypocrisy, having been branded on their own conscience, forbidding to marry, saying to abstain from foods which Elohim created to be received with thanksgiving by those who believe and know the truth“. An answer was given against the Apollinarian and Macedonian heresies which denied the Godhead of the Holy Spirit. The idea that the Holy Spirit proceeded from both the Father and the Son was finally inserted into the Nicene. Bereshit (Gen 1:2) “And the earth came to be formless and empty, and darkness was on the face of the deep. And the Spirit of Elohim was moving on the face of the waters”. Bereshit (Gen 6:3) “And YHWH said, “My Spirit shall not strive with man forever in his going astray. He is flesh, and his days shall be one hundred and twenty years”. Conclusion: The “Spirit of Elohim”, “His Spirit” is not another God. Theodosius II called the council to settle the Nestorian controversy, that taught that Yeshua was only a man with the divinity abiding in Him like in a Temple. Nestorius, Patriarch of Constantinople, called the Virgin Mary the Mother of Christ and not the Mother of God, refusing to acknowledge Mary as “Theotokos” (bearer of God), calling her only “Christotokos”. In this council it was considerated sacred the Nicene Creed elaborated during the First Council of Nicea, and anyone against it was declared unlaufull. The council went against the doctrine of monophysitism (two natures of Christ, human and divine, but not both at the same time) and the ideas of Eutychius who taught that Yeshua was Elohim only and that His divine nature absorbed the human one. The Council declared Yeshua as the Second Person in the Trinity as “True God” and “True Man” with His divine and human natures distinct and inseparably united in One Person. Monophysites christians believe that in the Incarnate Messiah there is one nature, not two. Emperor Justinian condemned this, hoping to appeal to monophysite Christians with his anti-Nestorian zeal. The Western Church did not accepted the idea, while the Eastern Patriarchs supported the Emperor, then the emperor called the Second Council of Constantinople to resolve the controversy. At the end the Emperor Justinian ideas failed to reconcile the Monophysites. The Third Council of Constantinople repudiated monothelitism (who acknowledged only the divine will of Christ while denying the human one, a doctrine with widespread support) and affirmed that Messiah had both human and divine wills. There are some who like the Jews cook meat in the holy places. Whoever permits this, or receives aught from them, is not fit to be priest. The Second Council of Nicaea restored the veneration of icons. 1. 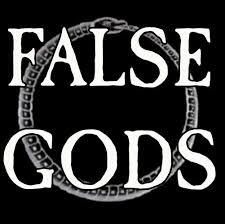 Creation of the false Christianity: new pantheon of Deities. 4. Union with the force of all believers and churches. 5. Destruction of Biblical texts. 6. Condemnation as heretics of all dissent. Do you still believe that this Ecumenical Councils were good for the Jewish Faith that Yeshua the Messiah of Israel brought into this world? Think about it.